Zion's Walter's Wiggles take their name from Walter Ruesch, Zion's National Park first superintendent, who in 1926 constructed this trail. The trail starts at the Grotto following the Virgin River. It is 2.4 miles to the top with an elevation gain of 1,500 ft.
Walter's Wiggles are a series of 21 steep switchbacks ascending up a canyon wall arriving at Scout Lookout . From here the trail continues for 1/2 mile straight up the most dizzying bold and very narrow trail with frightening 1,000 foot drop offs on both sides. 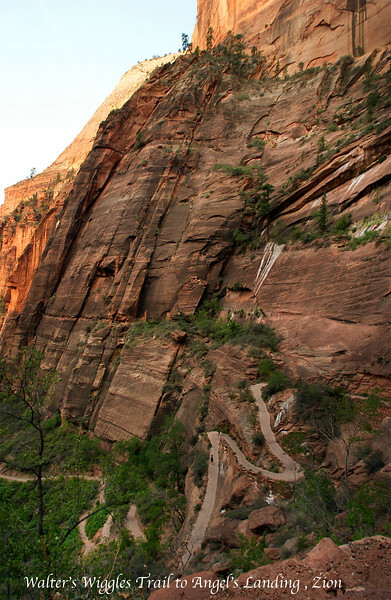 There are fixed chain cables to provide help scrambling up the precipice to Angel's Landing peak of 5,790 ft. 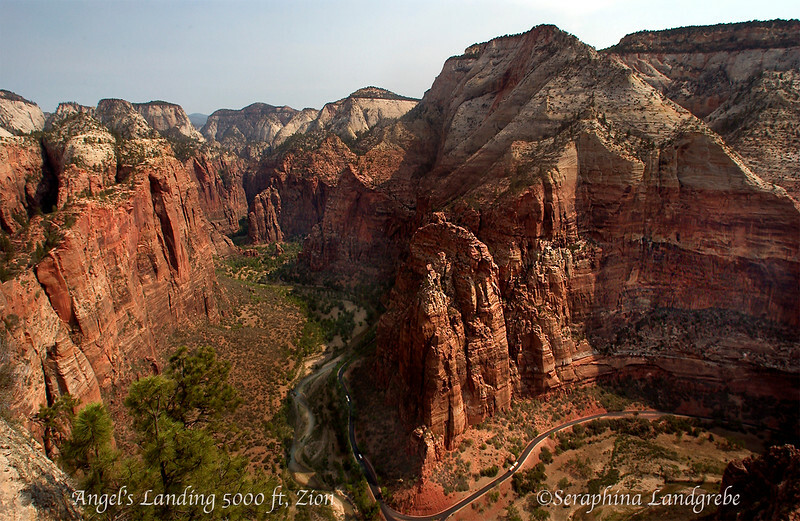 This was the most exciting and exhilarating hike in Zion. My friend overcame her fear of heights ascending this peak. The view from the top was spectacular and magnificent. It was frightening to look down for a photo but it was well worth the effort.